This tutorial will give a quick introduction to Responsive Web Design. At the end of this tutorial there is also a video introduction. The idea behind Responsive Web Design is that when a user visits your website, they will get best view for their device based on the screen size. This is achieved by providing different layouts for specific device widths. 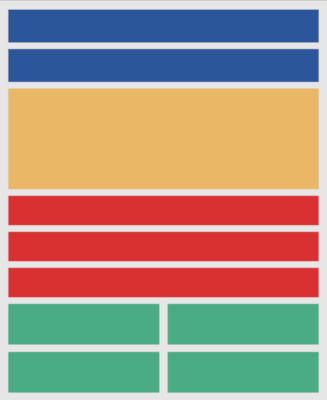 These different layouts are called 'breakpoints' or 'variations'. 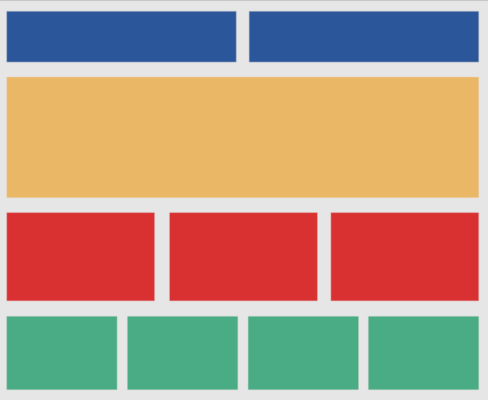 All layouts are part of the same page and use (mostly) same objects. The great thing about Responsive Web Design in Quick 'n Easy Web Builder is that you have full control over the layout in different breakpoints unlike in other tools where you are force to use predefined layouts/templates. On a tablet (with a smaller screen) there is less space so the boxes will be harder to read without zooming (if they had text). So let's add a breakpoint for 768 pixels screens and rearrange the boxes. Note that the same objects were used, only their position and size was changed! It is also possible to add objects that are only visible in one specific breakpoint and hide them in other breakpoints. 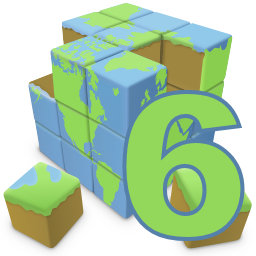 This can be useful for navigation objects because some navigation objects work better on desktop computers and others on touch screens. For example you display a menubar on the desktop version and panel menu to the breakpoints for smaller screen. 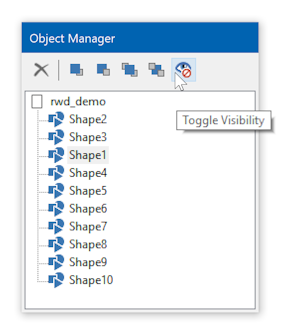 You can use the Object Manager to show or hide objects. The visibility can be different for each breakpoint. This toolbar can also be used to switch between breakpoints or go back to the default view. When creating new breakpoint, Web Builder will make a copy of the default view. So the page will initially look identical to the desktop view. But the idea is to rearrange the items so the layout looks better for this screen size. to go back if something goes wrong. After you have rearranged the objects click 'Preview in browser' to see how the page with breakpoints behaves in the browser. Initially the browser will display the default (desktop) view but if you resize the browser window and make it smaller then 768 pixels then you will notice that the layout will adapt to the current browser size!